I love, love, love to garage sale. In fact, I've put myself on a garage saling diet. I only allow myself 1, maybe two Saturdays a month now. I was just accumulating too much cool stuff. Also, Caroline went to college. Our kiddos do group up. Also, I'm in the saving mode lately. That's a good thing. My sister in law and brother in law gave me the book Garage Sale America by Bruce Littlefield and 20 $1.00 bills for my birthday. That was the coolest gift! I just finished the book and highly recommend it for those of you who are addicted to garage sales, estate sales, etc. like I am. Caroline and I always enjoyed going to garage sales, but when we moved out west, it became our Saturday morning - don't even think about touching this - event every single week. It was our bonding momma/daughter time. During those years of garage saling we went to who knows how many garage sales. We tackled it like we were working on our thesis in garage saling. Oh, how we laugh on these adventures!! She's found Seven jeans for $2.00, cool vintage hats for $1.00. I've found furniture for $5.00 and unique items. Oh, the uniques. Just check out Journey's Inn! Caroline and I would wake up at 6:00 a.m. (yes, Saturday morning really does have a 6 a.m.!) and leave by 6:30. Our routine was (and still is a time or two a month) to leave, stop to get a large Sonic drink - - you know to fortify us for our adventure, then go to the gas station to pick up a newspaper, then to Burger King for their yummy chicken biscuits (that they no longer have). We'd sit in the parking lot of Burger King and map out our route by the classified and any good signs we had seen along the way. 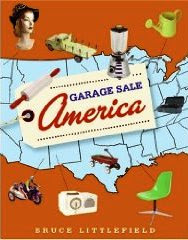 Bruce Littleton's book, Garage Sale America has some great tips on garage saling do's and don'ts and shares his garage sale wisdom with wit and tongue in cheek humor. 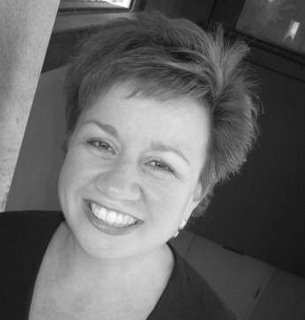 Oh the joys of wearing a new pair of earrings that everyone ooh's and ahh's over and secretly wants...then to quietly (and humbly, I might add) say, "Oh, these things? I got them at a garage sale for a quarter!" I am ready to go...name the Saturday!! I love to go garage sale'n too, but don't do it nearly often enough. I love garage sales/estate sales...jewelry and furniture are the best!! Yea!